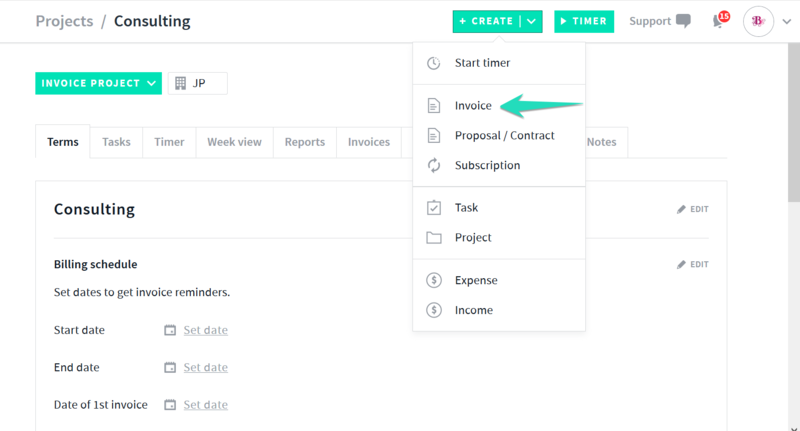 Once you have created the billable expense and linked it to your project it will then auto populate on your next invoice when you invoice from the project. For example I have a billable expense for my running project called "Consulting" for $50. You can view this via the projects tab > select the project > expenses tab. Now that I have created my billable expense I want to invoice my client so I can be reimbursed for the expense incurred. 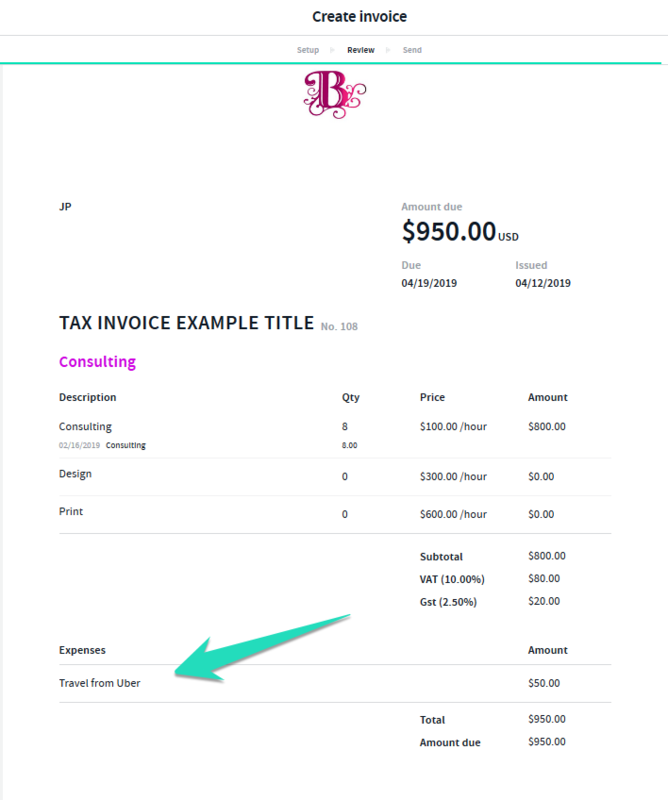 You can select to remove the expense from this invoice once in edit mode if required simply by selecting the invoice in edit mode > select the check box option next to the billable expense. 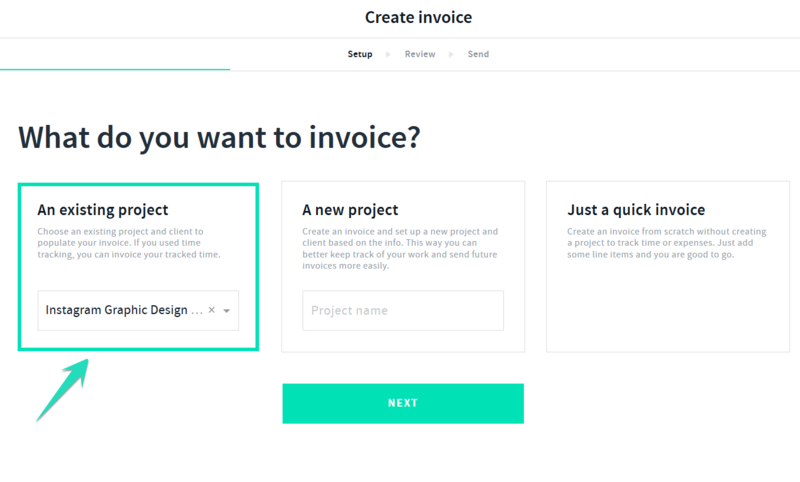 Otherwise if you are happy with everything simply continue with the workflow of creating and sending the invoice to your client for payment by selecting the next option top right > send invoice. 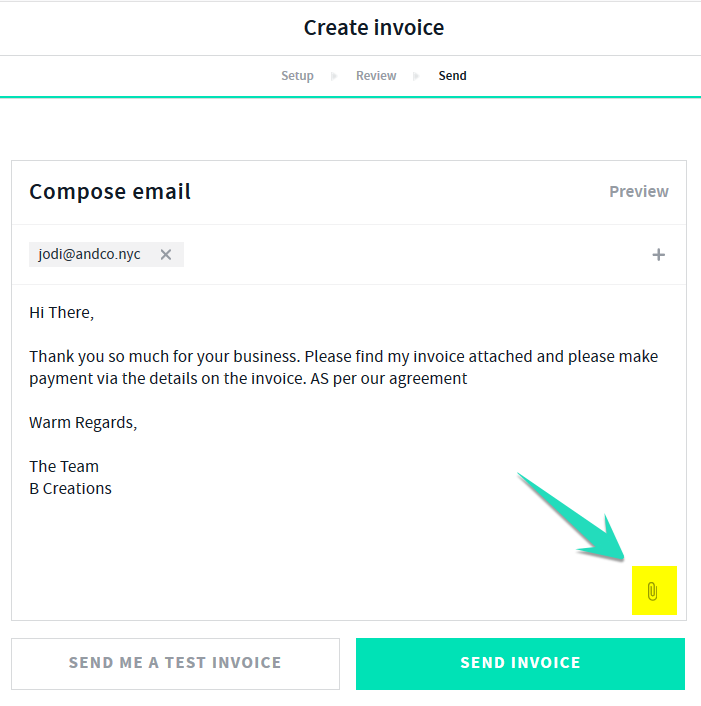 Any receipts attached to the billable expense will be included with the invoice, however you do have the option to remove any receipts/attachments prior to sending you will see the option to delete/remove attachments.